Note: This article is republished with permission from Leigh Anne Jasheway\’s blog. 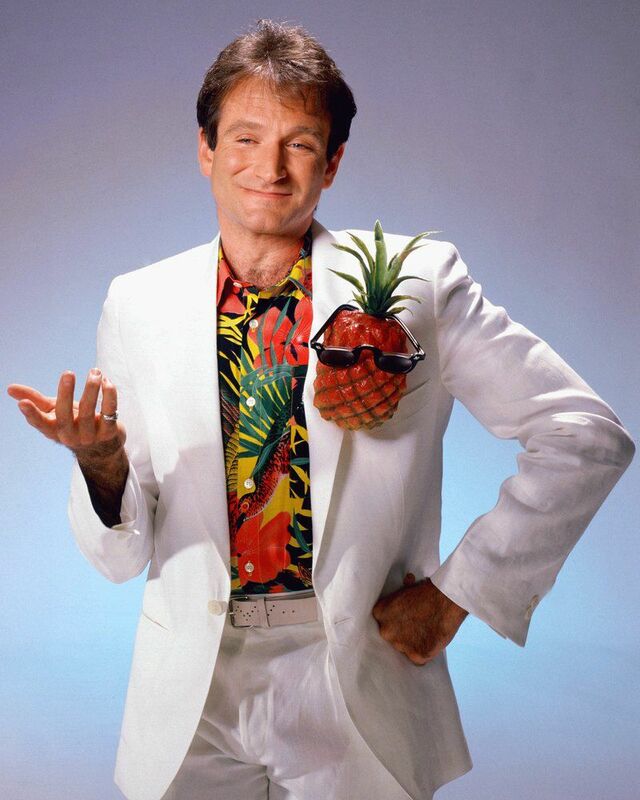 Robin Williams is gone, tragically by his own hand. Another brilliant soul so tortured that the only way out seemed to be the final one. 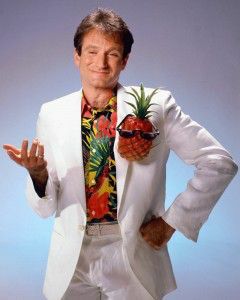 As a stand-up comic and someone who teaches people to use comedy writing to create laughter from the negative thoughts and emotions that we all deal with every day, Robin’s passing (and Richard Jeni’s suicide 7 years ago) has affected me deeply. I know that comedy is an amazing life skill that allows people to take pain and anger and frustration and turn them into laughter. I also know comedy doesn’t make the pain and anger and frustration disappear, especially for those whose brains aren’t wired for easy joy. When I was young, my dad told me that my mother had attempted suicide. My second stepmother used to slit her wrists just enough to draw blood as a cry for attention. I was often the one who had to help her, while she screamed at me that my father didn’t love her, that no one loved her, and that next time she’d use the gun my dad kept in the closet. When I got divorced from my last husband, I kept his last name because he kept talking about suicide and I was afraid that changing my name would push him over the edge. And even though we’ve been divorced for 5-1/2 years, he calls regularly and I try to talk him down. I am lucky. My brain’s set-point is happiness. When bad things happen, I feel them just as much as anyone else, but I quickly find ways to seek out joy and focus on the things that can create happiness all around me. I’ve lost three dog-children and grieved them so much that for months on end I thought I’d never be happy again. But somewhere in the back of my mind even in the depths of grief, I knew things would get better. I did a comedy performance to memorialize the passing of my best friend (her last request to me) — and wept openly the entire time. But a tiny voice said, this is right, this is helping everyone remember the joy Rhonda brought to the world. Be happy that you could give her this. Even then my brain was working for me, not against me. People with depression say that if you’ve never experienced it, it’s impossible to completely understand the depths of despair they are feeling. I believe that wholeheartedly. I tried for the six years of our dating and marriage to help my last husband not be depressed — I catered to his every wish; I accompanied him to mental and physical health appointments because his anger got in the way of good treatment choices; I put on a happy face even when his anger, anxiety, paranoia, hoarding, and spending habits were bankrupting me of energy and finances. I had to leave when I realized my own life might be in danger; rather than me shining a light on his darkness, he was dragging me under with him. There’s an old saying, “Happiness is an inside job.” I believe that is so true. I also know that there are too many people who do not have the tools — mentally, physically, or spiritually — to build the foundation for joy. For too long, we as a country have focused on whether we’re physically healthy while all but ignoring our mental health. 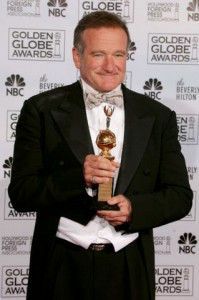 If Robin Williams and the nearly 30,000 other lights that are snuffed out by suicide each year are to be truly honored, let’s create a mental health care system free of stigma and easy to access. Let’s openly talk about our own struggles so that those struggling with bigger demons feel encouraged to open up. And let’s take care of our own mental health every day. For me, that means making people, including myself, laugh. Leigh Anne Jasheway is a comedy writer, comedian, humorous motivational speaker and wiener dog wrangler. She is the author of 25 published humor books, including Not Guilty by Reason of Menopause and Bedtime Stories for Dogs, and has been included in more than 2 dozen anthologies. In 2003 she won the Erma Bombeck humor award for her true story on how her mammogram caught on fire. When she’s not writing or making people laugh, she’s tossing a ball 7,000 times in a row for her dogs.